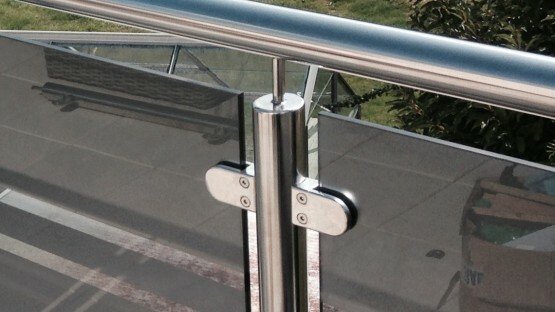 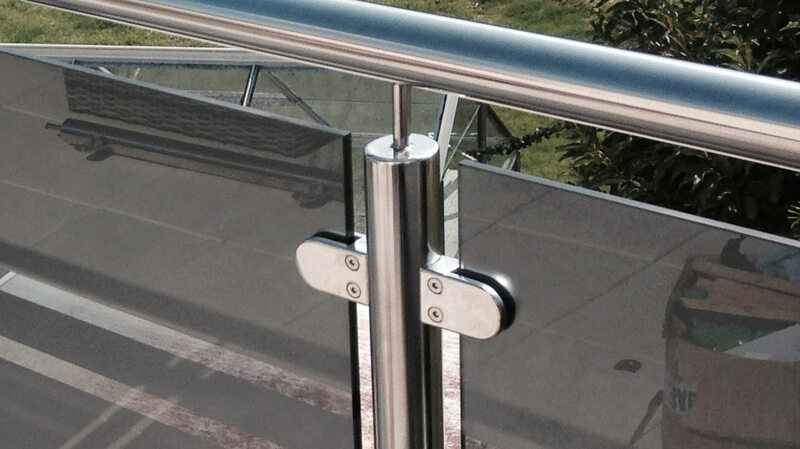 To design, manufacture & install a Stainless Steel Handrail to 1st Floor Balcony area. 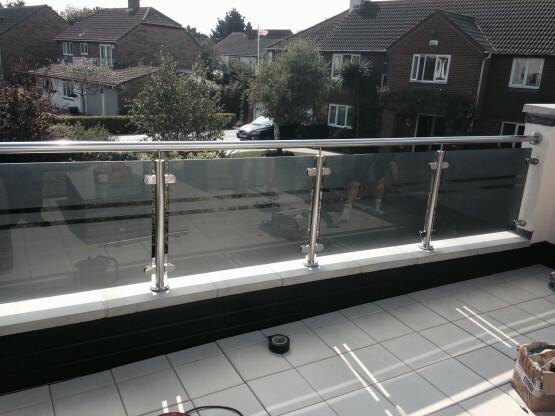 Our client decided to make the most of the views at the front of his property, overlooking Mudeford Bay, by including a ST/ST Balcony Handrail with Glazed infill Panels. As the balcony is located at the front of his property there was an element of privacy that was still required, without hindering the view. Our client requested Smoked Grey sand blasted glass, which makes the glazed panels obscure. 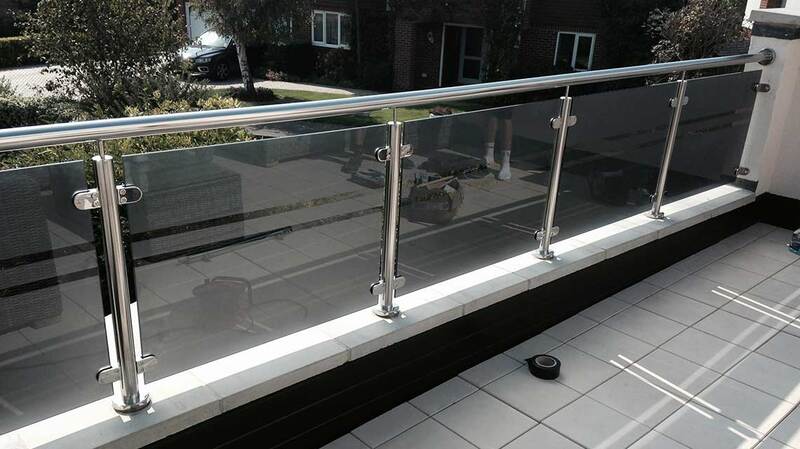 There was a twist to these obscure panels however, our client requested 2 clear horizontal stripes on each panel, which, as the pictures show, made the whole balcony look that much more impressive.